Juliet, Naked had its World Premiere at the Sundance Film Festival back in January. 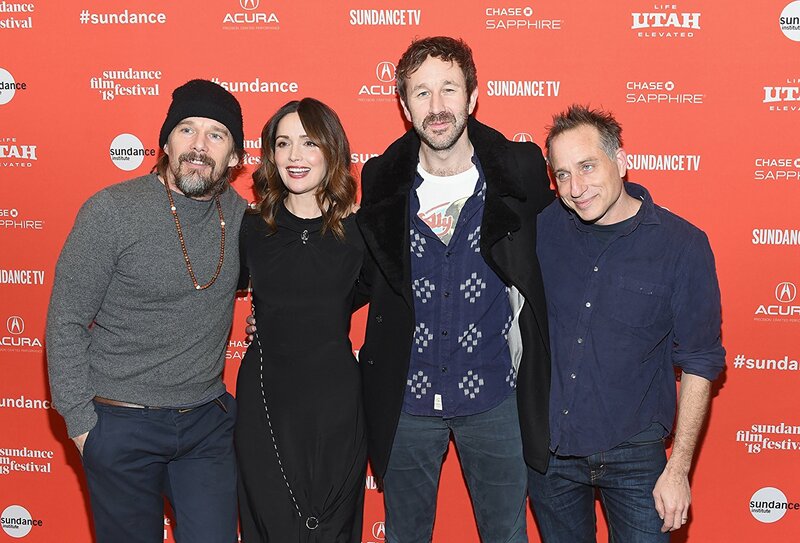 The film is a delightful romantic comedy starring Rose Byrne, Ethan Hawke, and Chris O’Dowd and is based on Nick Hornby‘s novel of the same name. I saw the film at Sundance and enjoyed it. I thought that the chemistry between Byrne, Hawke, and O’Dowd was spectacular and that the film was such a feel-good film about being obsessed with your hobbies and forgetting about what truly matters in life. I recently had the opportunity to talk with Jesse Peretz about Juliet, Naked and what it was like to bring the film to Sundance as well as work with all these talented actors. Scott Menzel: Hey, how are you? Scott Menzel: Glad to hear it as I am very excited to talk about this film with you. So, Juliet, Naked premiered at Sundance, and that’s where I saw it at. 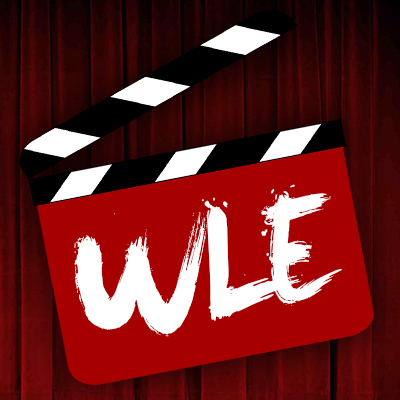 What was your reaction like getting the film into Sundance? And then also, seeing the audience reaction? Jesse Peretz: I was, of course, super flattered and excited to get into Sundance. It was a little nerve racking because we had only finished shooting at the very end of August. So, we had submitted a cut that was only six weeks in. It was kind of a scary decision. Are we going to be able to get the movie together and in good enough shape to show it by the time we needed to stop cutting, and do some temporary mixing and stuff? But anyway, it’s changed a tiny bit since Sundance, but not dramatically. Sundance is such a great audience. I didn’t know exactly what to expect, but I had a movie at Sundance five or six years beforehand where it was such a warm reception and, of course, playing in that big theater, it echoes with something that’s at least somewhat of a comedy. It’s always a really satisfying place to show that kind of movie and the audience was very generous with the movie. So, I don’t know. I’ve had a great experience at Sundance. I always love going there. Scott Menzel: That’s so awesome. Sundance for me has always been the one festival that I enjoy the most. I always say that if I gave up entertainment journalism and whatnot, I would still go to Sundance out of all the festivals. Jesse Peretz: Yeah. I know. There’s just something really fun, and you would think that there’s so much business there that that would get in the way of movie enjoyment, but really what’s so fun about being there is it just feels like people get out of the cold and into the theaters and it just feels like it’s an audience that wants to enjoy watching a movie. There’s sort of magnetic feeling when you’re sitting there with the audience where you are excited to be seeing stuff and then, certainly as a filmmaker, that’s the dream scenario. Scott Menzel: Yeah. And I think it’s interesting because I know a lot of smaller films festivals … That’s what I love the most is film festivals and going to them … What’s so standout about Sundance is, like you said, it’s so well known, it’s so business oriented, but at the same time, the lovers are there of cinema, but it’s the only real big festival where everything is a discovery. I’m going to Toronto in two or three weeks, and everybody knows most of the movies that are there. There’s nothing going into Sundance. You have a plot description. You have a photo. And that’s all you got. Jesse Peretz: Exactly. That’s so true. It’s all unknown. They’re lucky that they’ve gotten to that place where they can be that powerful, but it also does make it such an exciting place to be there and see what is going to be, at least your guesses, the big independent movies of the next year. You know? Jesse Peretz: Exactly. It’s very true. Scott Menzel: It’s amusing too. I think that the chemistry amongst the three, Chris, Rose, and Ethan, is just spectacular. Scott Menzel: How did you go about the pairing of them? What was it about each of their personalities that really spoke to you and knew they were the perfect fit for the characters? Jesse Peretz: One of the histories of this project is the book was bought by my four producers beforehand, and they had worked for a couple of years on a script before they sent it to me. Anyways, Judd Apatow sent me the script that Tamara Jenkins and Jim Taylor had written. I hadn’t read the book yet. It was one Nick Hornby book I had not read. I had just finished directing an episode of Girls with Chris O’Dowd, and I was so enamored by him and just how funny he was, how great at improving he was, the ways that he could ground the comedy and at the same time push it super far. I just remember thinking, “Oh my god. I so wanna do a movie with that guy.” I was so sad when the episode ended and we really only worked together two and a half days. Then, two weeks later, I get the script from Judd, and I get 20 pages into the script, and I think, “Oh my god. Okay. I’m gonna do this movie, and I have to get Chris to play Duncan because this is exactly the kind of part that he would kill.” So, I didn’t know what was going to happen, and we didn’t try to get him attached until much farther down the road. But he came in that way. We went out to Ethan. I guess someone at CAA gave him the script right about the time we were about to go after him. So, he was really the first person I ever talked to about that part. Again, his take on it was so spot on and gave me great ideas I hadn’t thought about. Anyways, when we asked Chris, he was the first one we asked, and he said ‘yes’ right away. So, the casting fell into place pretty effortlessly. Chris and Rose had done ‘Bridesmaids’ together. They didn’t really have scenes together, but they knew each other. And Rose knew Ethan a little bit, but we all spent some time together. Their chemistry together was very exciting to me, and I just feel so lucky to have put together this cast for this movie. Scott Menzel: Yeah. You really did such a great job. You know how it just has this natural chemistry where they just bounce off one another … like they’ve known each other for years, and you’re just watching a bunch of friends comes together. That’s what it felt like watching this movie. It just felt so natural. Jesse Peretz: Well, thank you so much. Scott Menzel: You brought this up briefly, and I’m actually kind of curious about it. You’ve done a lot of television work. I did need to give you a shout out because one of the shows that you’ve worked on, I know it was only for an episode, was the TV show Happyish. I got to talk to Kathryn Hahn a couple weeks ago. I love that show. Jesse Peretz: She is such an awesome woman and an awesome actress. I love Kathryn. Scott Menzel: Kathryn is so amazing and that show, I feel was very underappreciated and undervalued. Jesse Peretz: Yeah. It’s so sad that that show did find an audience. I love the two of them. I’m obsessed with Steve Coogan, and I’m obsessed with Kathryn Hahn. I was so excited to work on that show and so sad that it didn’t find an audience for a second season. Scott Menzel: Yeah. It was disappointing. But what I was going to ask you was, as a director, you’ve gone back and forth. I also really enjoyed ‘Our Idiot Brother.’ I thought that was a great film which is another one that was very underappreciated. I guess you have that as a pattern, but then you’ve worked on stuff like ‘Girls’ and ‘The Office,’ which everyone loved. So, I guess it’s an even balance. Jesse Peretz: They over appreciated? Scott Menzel: No, I didn’t mean that. I’m just saying those are ones that actually build a fan base and were successful. You know what I mean? So much stuff goes underneath the radar nowadays and then there’s other stuff that there’s so much of a blow-up about and then it becomes a cult following, and it lives on for generations. What was it, TV-wise, and switching back and forth between movies and TV … What’s the biggest difficulty, if there is any, in switching between the two mediums? Jesse Peretz: I don’t know if I would say that there’s really difficulties because I think that, if anything, there’s a nice balance. I had had like five years straight of just doing TV, and I felt incredibly lucky to be working on such great shows and with such great people. But of course, it was really exciting to go back and make a movie because there’s nothing, from a director’s point of view, there’s nothing like doing a movie where it really is ultimately the buck stops with you and for better or for worse you get blamed for what works and what doesn’t work in it. It’s your opportunity to tell your story. Where, in working in TV, I feel like I get input, but ultimately, it’s somebody else’s story. The great thing about working in TV is, for me, my favorite part about being a director is being on set directing. So, working in TV, you spend a much larger percentage of your time actually doing that. Where with a movie, it’s like two years of development and then prep and then you’re shooting, and suddenly, it’s done in the blink of an eye. Then, you’re like, “Oh, that started and ended so quickly.” Then, there you are editing. Anyways, I’m very happy with the balance that I’ve come up with. I hope to continue doing both over the next while. Jesse Peretz: You mean, what was the most challenging scene or aspect of putting the movie together? Scott Menzel: No, the challenging scene. And then also, what is your favorite scene in the movie now that you’ve seen the completed cut? 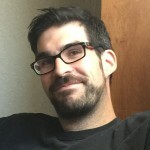 Jesse Peretz: The most challenging scene, I think, was the one where Tucker tells Annie … kind of confesses his story about his daughter, Grace, who he doesn’t have a relationship with because that scene is so pivotal to understanding why this character … why he brought his life to a halt, basically. It was an incredibly important thing to be able to establish enough gravity to that story that you believe and understand why that could’ve brought his life to an emotional and physical stand still. Then, regarding the most fun scene, I think the most fun scene was the dinner between the three of them with the kid. Scott Menzel: Yeah. That was great. Okay, well, Jesse, it was a pleasure talking to you. Thank you so much. Jesse Peretz: Alright. Nice talking to you, my friend. And thank you so much. Scott Menzel: Thank you as well. Good luck with the movie. Jesse Peretz: Okay. Thanks. Bye. 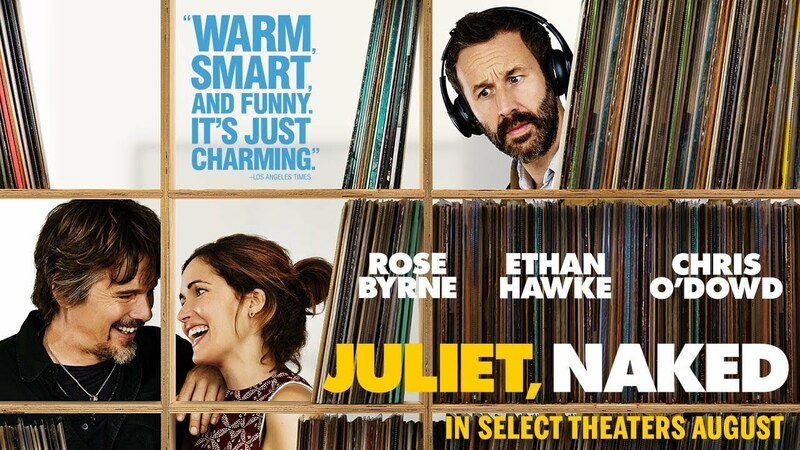 Juliet, Naked is now playing in select theaters.